Whether you have a 10 person or a 100 person law practice, it's useful to consider expanding the online presence of your legal firm. Most individuals seeking legal counsel will do their initial research online. Here are a few ways you can put your best digital foot forward. Most visitors to your legal website won't get past your Home page. Show your legal value quickly and succinctly. Firstly, you'll want to highlight your practice areas. 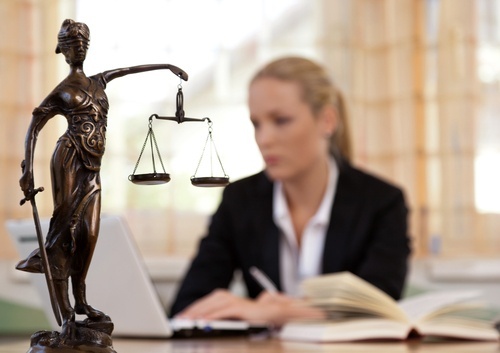 If you specialize in corporate litigation, you don't want to waste time with someone who might need criminal lawyers. Secondly, you'll want to bring attention to your effectiveness and expertise. Perhaps that would be the size of legal settlements won or the type of clients that have chosen your firm for legal representation. You may also want to include testimonial quotes from previous clients. How does your firm stand out from other firms? That's an important question your Home page should answer. Only about 20% of visitors to your home page will scroll below the fold to the bottom of the page. Use the top part of your Home page wisely. You'll want to use your website to identify prospective clients. We marketers call these prospective clients leads. We typically build websites for our clients on the HubSpot marketing platform. HubSpot offers very powerful and flexible software. If you have a prospective client visit your website you can have them convert on a page and submit enough relevant information to help you decide if you'll be able represent them. Even if you don't end up taking a converted lead on as a client, you can still add them to your contact database. As you build your contact database, you'll be able to send email updates using HubSpot to inform your contacts of key legal issues. These sorts of email updates will help build your thought leadership in your practice area. HubSpot also lets you easily publish blogs and other types of content like ebooks and whitepapers on your website. After your Home page your About page is the second most important page on your legal website. Visitors researching your firm will want to know about the lawyers who practice there. Details about each lawyer and their background, including their education and key legal experiences, should all be posted. If you're able to, include videos of top lawyers in your firm. Watching a lawyer describe their legal experience or area of practice in a video will help a prospective client extrapolate how that lawyer would present himself or herself in litigation or in the court room. In building your legal website, consider the best way you can differentiate yourself and underscore your particular area of thought leadership. Ultimately, you'll want to be attracting clients that align to the type of law you practice in.